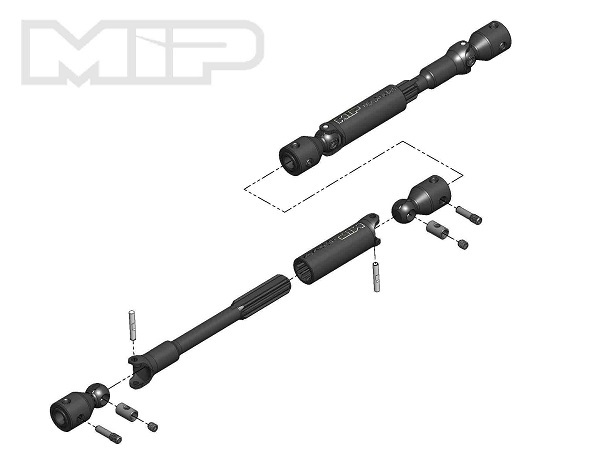 Scale and durability are the main focal points of our one of a kind purpose built MIP HD Driveline™ Kit, designed for the Traxxas TRX-4 Defender. 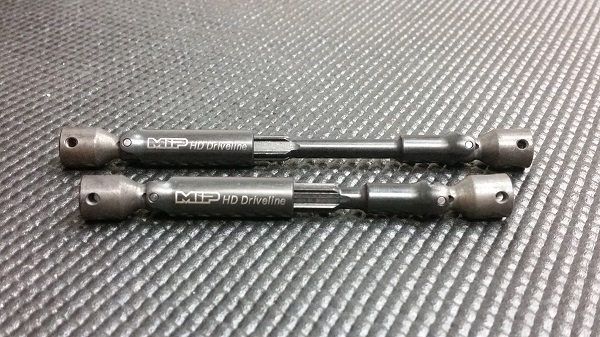 Our new Scale-ish™ MIP HD Driveline™ features scale looks and light-weight construction, compared to our MIP X-Duty™ Drives; nearly 30% lighter and 25% slimmer. 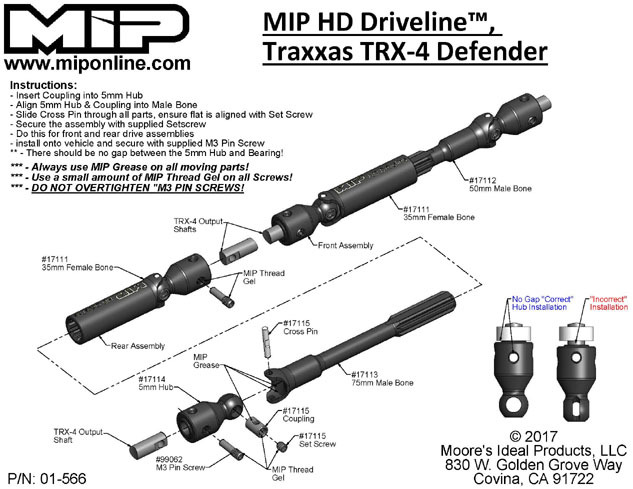 The MIP HD Driveline™ Kit, Traxxas TRX-4 Defender is truly a new beast in its own right, but we didn’t veer away from all of the design aspects built-in our popular MIP X-Duty™ Driveline. 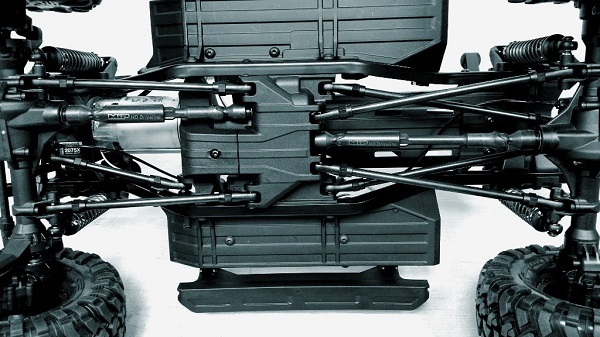 We have also incorporated our ultra-strong spline technology and MIP CVD™ makeup. 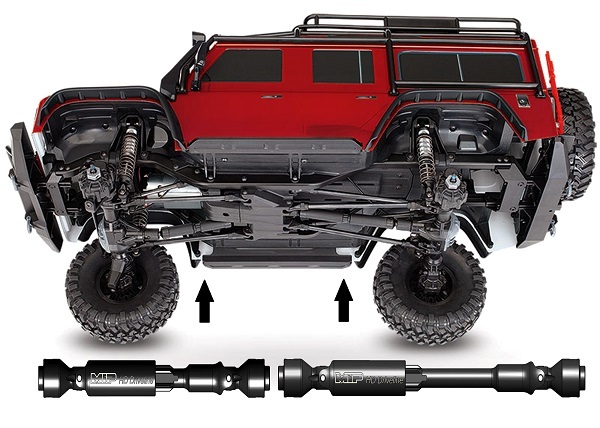 The MIP HD Driveline™ Kit, Traxxas TRX-4 Defender, additionally has an impressive 35° of articulation and features phased aligned joints that key the male and female splines for smooth power transfer under load with no binding or vibration. Of course, all components are heat treated from the highest quality American grade alloy steels. Our intelligent design, coupled with our race proven technology affords you the value you demand when building a true trail rig. 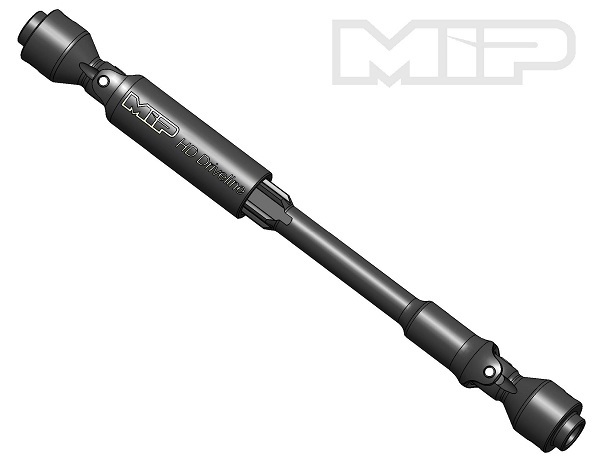 Dependable....Re-buildable.......MIP! Manufactured 100% in the USA!